And the busy superstar has jetted back to Scotland to lead East Lothian’s challenge in the Premier League. He skips a front-three of Mark Yuill, Chris Brock, and Steven Morgan in the derby with Midlothian at the Dalkeith Stadium. Midlothian team manager Ronnie Allen has recalled David Peacock and teams him at third to fellow world stage figure Graeme Archer. Jim Cullen is unavailable. Midlothian sit top of the table with three wins out of four putting them one point clear of both Blantyre and East Lothian with Bainfield a further point adrift. Bainfield look odds on to bag two vital points in the Premier League with relegation-zoned Abbeyview the latest visitors to the Hutchison Crossway Stadium in Edinburgh. Having lost two away fixtures to Midlothian, and East Lothian, Bainfield are flirting with the bottom three in the B Division. Chief selector Paul O’Donnell has recalled stalwart campaigners Brian Stoddart and Kevin Tennant for Graeme McIntosh and Steven Pilley. West Lothian have yet to win a home match at Inveralmond Stadium at what was once considered a fortress but opportunity knocks for a third time with today’s visit of bottom club Elgin to Livingston. The home team’s bid to make it two wins out of five is boosted by the return of former international star George Sneddon who, following a bowls visit to Hong Kong, is selected at lead in preference to Connor McKendrick. Balbardie gents dwell in the relegation zone of Division 1A with three points from four games but home environment can spark a revival of fortunes albeit this weekend’s opposition comes in the shape of triple joint top Cumbernauld who visit the Bathgate club. • Today’s fixtures in the East Premier Division of the Ladies League features a top-of-the-bill clash between the cream of East and Mid Lothian at the Meadowmill Stadium in Tranent. East Lothian sit four points adrift of leaders East Fife and two adrift of Midlothian and have a bit of catching up to do; the three home skips are Yvonne Veitch, Janet Fairnie, and Lauren Baillie. West Lothian are involved in a relegation zone battle away to bottom club Abbeyview in Dunfermline while Division East leaders Bainfield visit Teviotdale, and second top Balbardie travel to Tweedbank. 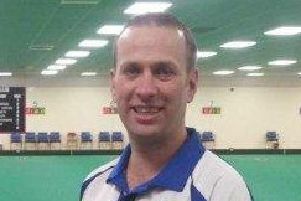 • East Lothian gents are in with a strong chance of making a successful defence of the Scottish Fours title after Billy Mellors skipped Jamie Higgins, Scott Kennedy, and Derek Oliver into the semi-final in the play-down action at Inverclyde. Victories over Cowal, Falkirk, Prestwick (Paul Foster), and East Fife saw EL join Galleon, Perth, and Tweedbank in the last four. The Bainfield rink of Danny Gormley, Craig Paterson, Robert Marshall, and Paul O’Donnell made an agonising 19-18 exit to Tweedbank in the quarter-finals. 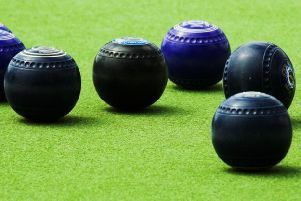 • Midlothian made best headway in the Ladies National Fours but the rink of Sandra Muir, Ella Borthwick, Shona Johnstone, and Stacey McDougall lost a 22-19 battle to Tweedbank in the quarter-finals. Stonehaven, Auchinleck, and East Fife are the other semi-finalists.